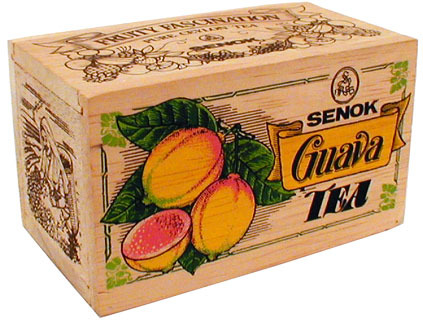 Guava tea, as prepared mainly from young leaves (dried and crushed) of guava, is a caffeine-free herbal drink. 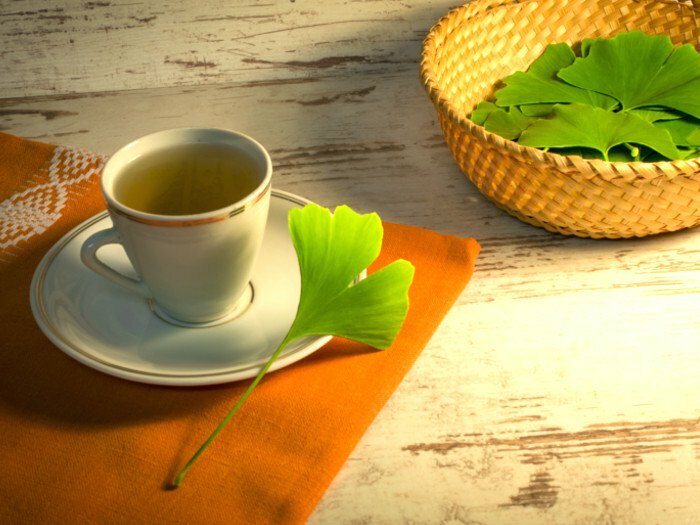 Being enriched with antioxidants and anti-inflammatory properties, this has gained much importance as a potential therapeutic tea. For more than a century, it has been used in South America, precisely in Mexico for treating diarrhea and oral problems. 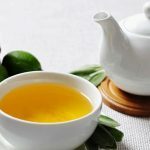 In East Asia, this tea has been considered as a curative for diabetes by Chinese traditional medicine and Japanese herbalists. 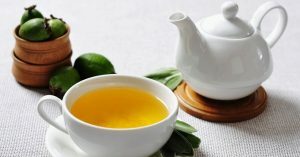 The tea with its antihyperglycemic effect is a potential solution for diabetes. While the dietary fiber of guava tea controls maltose and sucrose inclusion, it also lessens the alpha-glycosidase enzyme that changes starch and disaccharides into glucose in our system, thus inhibiting an unwanted rise of sugar level, without affecting the insulin level. Of the several studies done to test the positive impact of guava leaf extracts on diabetes, the one published a journal in 200, reveals its ability to lower the sugar levels in rats having Type 2 diabetes. However, more research is required to validate the same. The potassium content of guava tea helps the muscular tissues of the intestinal walls to contract and relax in a proper way ( peristalsis), thus paving the path towards a healthy digestion. It also prevents the growth of Staphylococcus aureus, a bacterium that causes digestive ailment like diarrhea. It is enriched with naturally alkaline astringents along with antibacterial and sterilizing properties that put a stop to detrimental microbial and excess mucus production in intestines, thus averting chances of dysentery. Also, the dietary fiber aids in relieving constipation by boosting the excretion system along with intestine cleaning. Hence, a cup of guava tea a day would work towards maintaining a healthy stomach. Guava leaves tea has anti-hyperlipidemic properties that help reduce the low-density lipoprotein, (bad cholesterol), while its triglyceride content averts the scope of atherosclerosis blockage and also keeps away the chances of high blood pressure, thus ensuring an overall healthy cardiovascular system. The chemical compound lycopene of guava leaves is by nature an antioxidant that is said to combat cancer-causing free radicals and counteracts them, lessening the potentiality of cancerous development. Also, it subdues the overgrowth of androgen, a male hormone triggering the cell growth in certain kinds of prostate cancer according to studies. Guava leaves prevent the conversion of carbohydrate into sugar inside the liver helping to shed the extra calories. It is also believed to have a soothing effect on your nerve which ensures a sound sleep. The flavonoid antioxidant of guava leaves, namely quercetin is an effective antihistamine which averts the histamine release that is the root cause of all sorts of allergy. 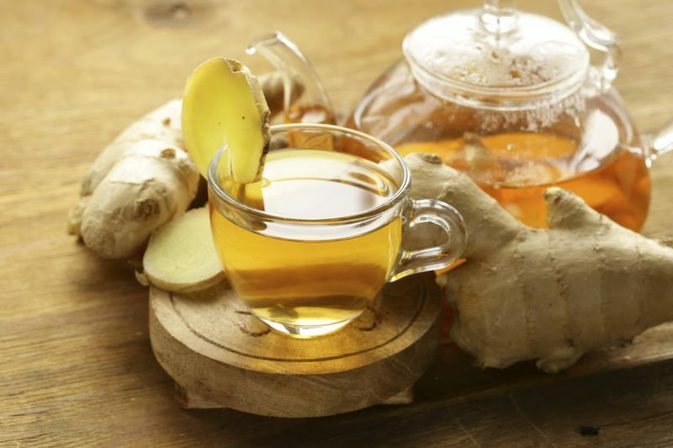 Drinking a cup of this tea or applying topically may provide relief from allergic reactions. According to an animal research, as published in African Journal of Medicine, guava tea has effectively promoted sperm production of Wistar rat. So, scientists are hoping this can be a potential solution for improving the sperm count in humans. 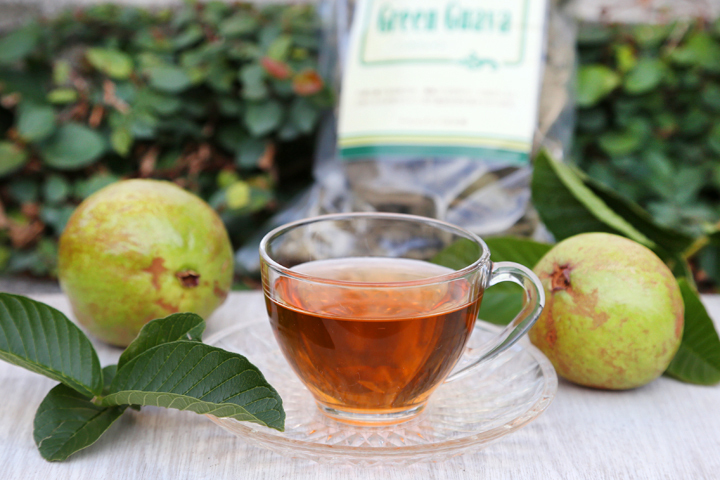 Guava tea boosts the cerebral function with its Vitamin B3 and B6 that help stimulate the blood flow, ward off thickening of arteries and reduce the chances of clots. Since guava tea has astringents properties it can be applied on the face to tone down the facial muscle and making the sagging skin tight. The natural detoxifier also ensures a healthy and glowing skin. Because of the rich content of Vitamin B2 present in it, cooled guava leaf tea may be massaged on the scalp to promote hair growth. 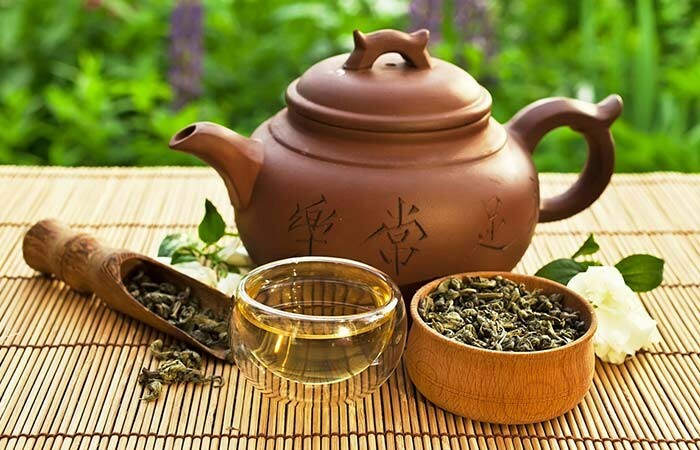 Besides drinking the tea, gargling with it would also provide relief from dental problems. In fact, the anti-plaque properties are suitable for treating dental plaque, while its antibacterial properties heal the ulcer, swollen gums, and toothache often caused due to bacterial infection. 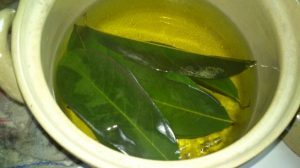 Take one tablespoon of guava leaves and roots and add it to one cup of hot water. Steep for around five minutes. Strain the extract and add honey if required. 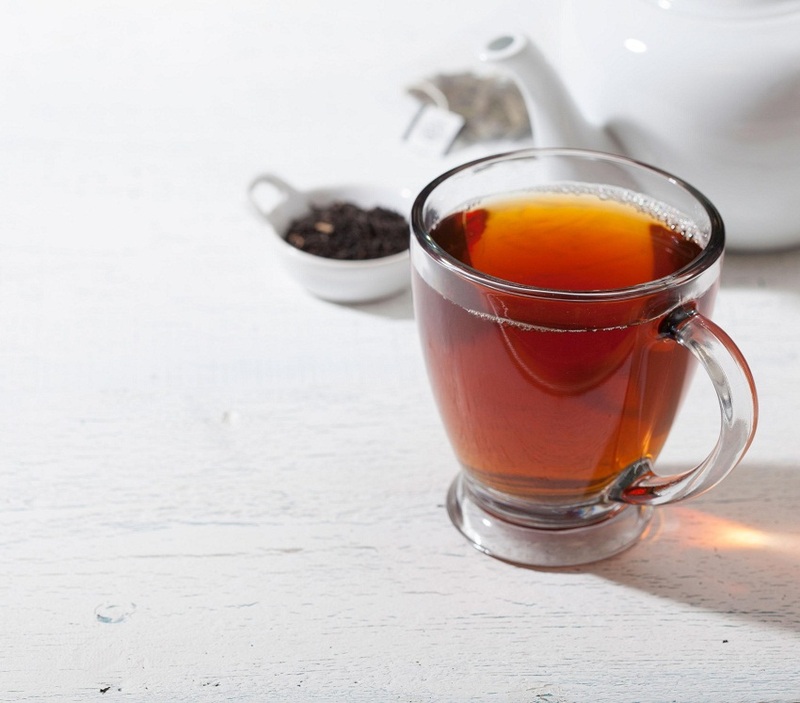 Boil moderate amount of water and steep black tea bags (organic) for around four minutes. Add honey to this tea and pour it afterward. Add guava pulp and let it be submerged properly. For guava bubble tea, you may add fruit flavored syrups and milk for a sweet taste. Although no side effect has been documented yet, still excess consumption should be avoided. There is no evidence whether it is safe or not for pregnant women and lactating mothers, so, a consultation with your medical expert is recommended before consumption. You will get guava tea bags and powder in both markets and online stores.